Happy New Year from Car Cash Point! As we know, 2016 was quite an unpredictable year, but with it now well and truly behind us, everyone here at Car Cash Point would like to wish all our customers, past, present and future, a very Happy New Year for 2017. As is customary for this time of year of course, everyone should have made their New Year's resolutions by now - the next challenge is sticking to them. We all start off with steely determination, but sometimes see them slipping - even before the end of January! But rather than focusing on the standard resolutions that are all too easy to break, 2017 could be the year you make some bigger changes. Think outside the box and you could change or enrich your life for good. One of the biggest commitments in our lives is our job. We can spend upwards of 8 hours a day in our professional roles which is longer than we get to see our loved ones each day, so it's important that we enjoy our work. But what if you're not happy in your current role - could 2017 be the year to make a change? Have you considered retraining? By taking on new skills, you could improve your chances of getting a pay rise or even landing yourself a new job. Take some time out to attend a full time college course or learn at home by undertaking an online distance course. It could be the work related change you need for a happy new year. One of many people's resolutions is to spend more time with their families. Though we all say this with good intentions, sometimes life gets in the way and we might not have enough time for family get togethers or catch ups. With this in mind, why not suggest a family holiday abroad for some much needed sun? It doesn't need to be anywhere exotic, unless you want it to be! Even a long weekend in a self-catering cottage could be an ideal way to give yourself a break and have some much needed family time together. Home renovating is all the rage at the moment, with homeowners looking to create extra space by converting an unused attic for an extra room or extending out into the garden for a larger family living area. This could be your big project for 2017 to give you the extra space you need so you don't have to move house. Though these are just a few new year suggestions, of course, everything comes at a price. 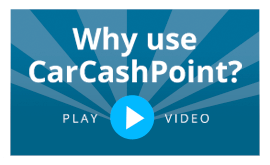 If you have some savings put to one side, why not give them a boost by taking out a logbook loan with Car Cash Point? By simply calling our award winning team on 0333 220 4419 or applying online, we can help you withdraw the cash from your vehicle using your car as security. With no credit checks, loans from £500 to £50,000 and flexible repayment options to suit your finances, 2017 could be a very happy new year!